In summers past, I've balked at the idea of planning anything that required much foresight or cleverness. Heat saps my creativity and gumption, it would seem. This isn't to say that I don't do anything with my kids during summer, of course. We do plenty of things besides wallowing in boredom (which, I'd argue, can often be good for kids.) Days are filled with visits to the pool, impromptu adventures with neighbor kids, playing at the park, trips to the library in the morning, bike rides in the afternoon, chasing lightning bugs in the evening, and popsicles all the time. This summer marks a first, though, in the sense that we sat down as a family and made a summer bucket list. 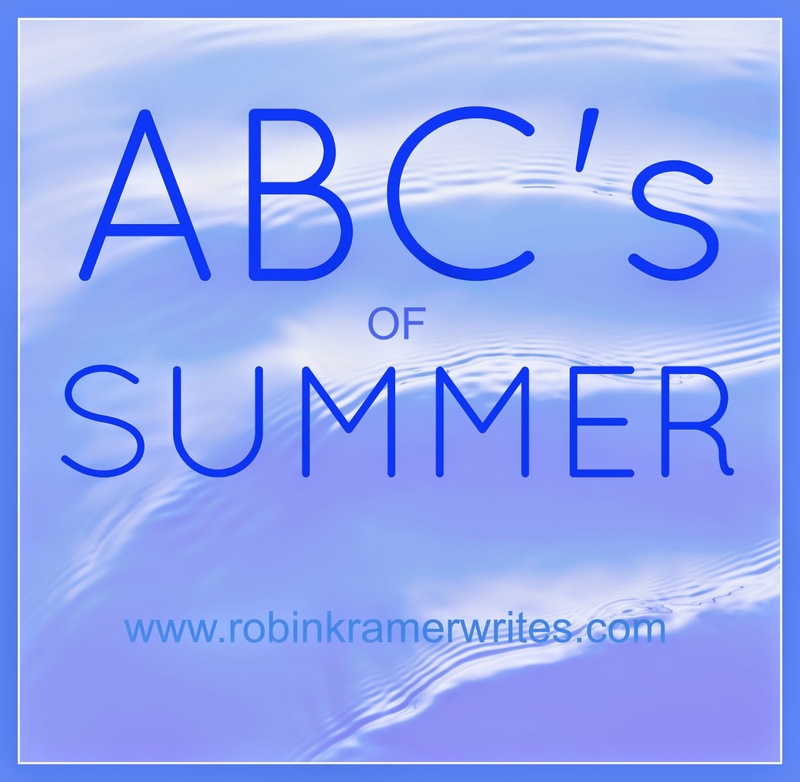 Not just any bucket list, either -- an alphabetical summer bucket list where we brainstormed an activity for each letter of the alphabet. Certain letters were a breeze. A stroll through the arboretum (A), a baseball game (B), cooking hot dogs over our fire pit (C), and feeding the ducks at a local pond (D). We expected other letters to more challenging. We plan to drive by our town's quarry (Q) which sounds rather lame, but you work with what you've got when you're dealing with Q. We'll also be performing an undercover mission of cheer (U) where we secretly bless someone (which turns out to be one of my favorite entries on the list), and exploring (X) a new place. We skipped ahead to the next letters and finished the rest of our list before starting the J brainstorming anew, still unable to settle on an activity. My husband walked to the cabinet, pulled out the phone book, and flipped to the J's. He noted that there was an ice cream shop called Jackson's Frosty Freeze in the next town, a scenic 20-minute drive away. Good enough. I wrote it down and hung the list on the refrigerator. After dinner last night, for whatever reason -- the World Cup loss to Belgium, the sudden late afternoon thunderstorm, the new book that made me blink up from its pages at my real life, unsure which reality felt more vivid -- but all five members of our family seemed out of sorts. I walked to the refrigerator and ran my index finger down the list, stopping on J. My simple question "Who wants to get ice cream at Jackson's Frosty Freeze?" served as a rallying cry, urging the kids to move more quickly to the car than they'd moved all day. Twenty minutes later we reached our destination and noticed a slight problem. They seem to be renovating. Well then. Scratch that idea, unless you happen to know a synonym for demolition that starts with J. Do you remember when Prince began calling himself The Artist Formerly Known as Prince? (Actually, I think that he began representing himself with a symbol.) 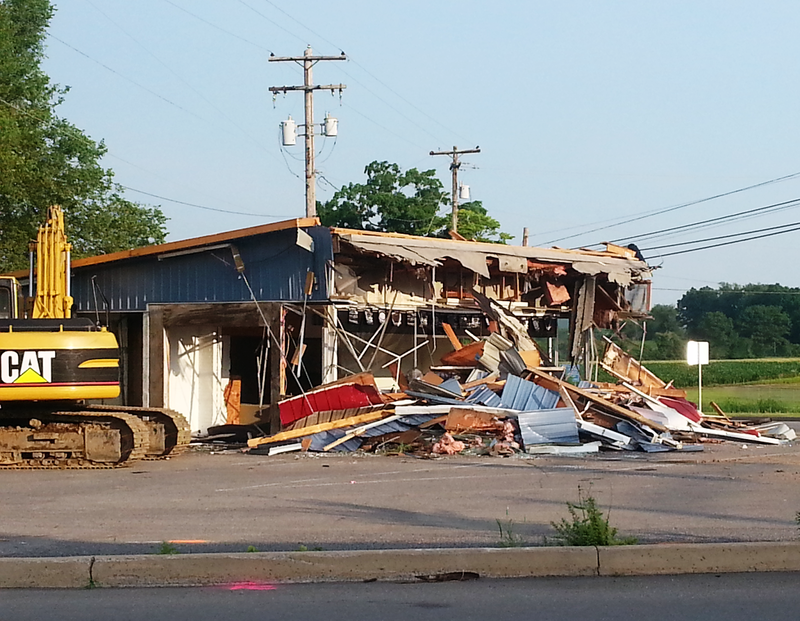 In other words, I'm all for calling this The Building Formerly Known as Jackson's Frosty Freeze. Visit Jennifer in Edmonton, Alberta! Yup... that's the perfect "J" activity. If that's unrealistic, what about juggling with water balloons?! Hoping you find the perfect J activity! This is a cute idea. New follower here. Thanks for stopping by, Beth, and welcome aboard!